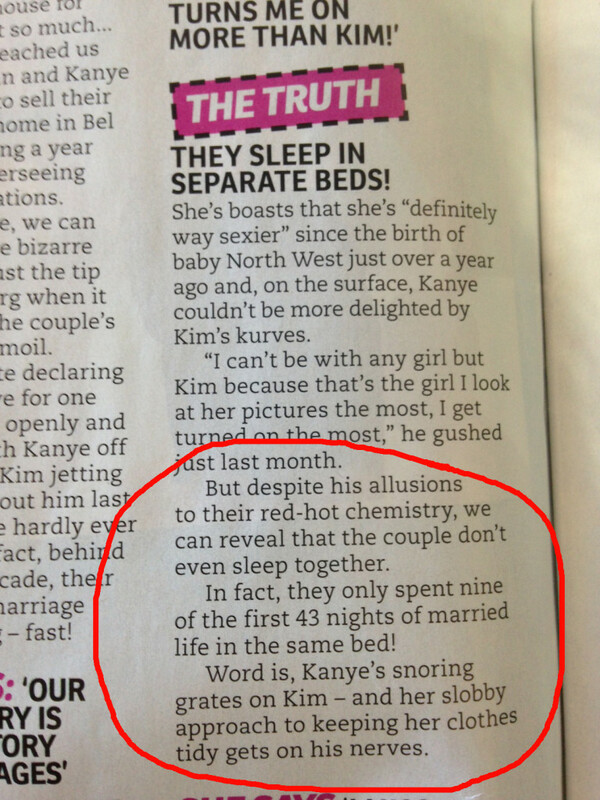 You are here: Home / couples sleeping apart / Yeezus…. Looks like reality is indeed keeping up with the Kardashians….. and our friendly Yeezus – Kanye West. If one is to believe a certain weekly goss mag in Australia (Woman’s Day), it turns out that reality royals, Kim and Kanye can’t slip between the sheets each night because of snoring issues….. just like us MERE MORTALS. One can but hope it’s true. Are they just like me????? ?